Twitter, Facebook, Instagram, Periscope and Snapchat. These are just a handful of sites that sports teams are using these days to interact with the fans. A link between clubs and their communities has now gone from the odd hospital visit at Christmas time, to a full on integration with the fans, showing everything from the inner sanctum of the dressing room to what is in a player's kit bag. But is it a good thing? And have now fans taken it too far showing a disregard for the player, due to their accessibility? Worcestershire won the Vitality T20 Blast last week. With one of the best social media accounts on their Twitter feed, you can see how they link the fans to the players, although in the case of Worcestershire producing so many home grown lads, it is a natural bond. You can see how social media works here, enhancing the unquenchable thirst of those who want more and more access to their heroes. In return the fans drink from the cup that the county provide. It is a two way street. Since the Eighties when a few pages of newspaper coverage was all we received, our quest for more coverage and knowledge has increased. After the newspapers we then had the 0898 numbers as a plethora of adverts, designed to waste time more than a batsman who goes 'gardening' every ball, made you pay a premium rate of around £1.50 a minute before you found out what Mike Gatting had for breakfast. You'd dial in from work due to the extortionate charges before every boss put a stop on them as most were used for heavy breathing ladies satisfying the urges of perverts. Sports pull outs in the papers were the next stage before websites were then used with the advent of the internet. Moving on most clubs embraced social media as a way into the heart of their communities. It is a positive thing and works well. Surely it should be at every club? Some of the things that I have seen on social media this season have been shocking. Cricket fans are turning into football fans. I have seen some disgraceful comments this season with fans of three clubs in particular being at the heart of it. It is at the Roses counties where a lot of it has occurred. Yorkshire are in a rebuilding phase and departures of star players such as Jack Brooks and Alex Lees have happened recently. Acting captain David Willey, took to social media recently to voice his concerns at fans shouting stuff out from the seats, accusing his team of not trying. He was backed up by a number of his players and rightly so. Some of the 'tripe' as they say in that part of the world aimed at coach Andrew Gale has been astonishing. If they keep their place in Division One, I would suggest they have achieved their target considering their construction work - in the stands and on the pitch. Yet it hasn't stopped the keyboard warriors. At Lancashire a far more unseemly row has occurred. Jordan Clark is about to depart to pastures new but there is 'trouble at mill' in the Red Rose county. The Lancs Action Group, a voice of the fans, had to sack an editor of their magazine recently due to a row with a player which threatened to boil over. Players and supporters, or even the son of a supporter, offering each other for 'a meeting' probably isn't what a county battling relegation require at a time when they need to show unity. You can see the frustrations on both sides but surely this public display over Twitter isn't the way forward? It made those on the other side of the Pennines chuckle, it has to be said. Another county who have had a poor season is Middlesex. Champions in 2016 and now facing mid table obscurity in Division Two, some of the personal abuse that the players have had to endure this season on the Facebook page has been a disgrace. One player confided to me earlier in the season, "It's pretty disappointing. We go out of our way to make ourselves accessible to supporters and this is what we get in return". Middlesex are a county who have gone out into the community - something not as easy to do in suburban London as it is in the more rural counties. The players have given up their time for fans, for school children or for disabled cricketers. Certain individuals come in for vitriol more than others, yet put themselves on the line to be available to supporters. I have got to know a number of professional cricketers via these pages. They are normal guys, some are ok, some not so much, they are a cross section of society - in the words of Frank Turner, "Some of them are just like us and some of them are dicks". However, giving them abuse from the safety of your keyboard will not make them play any better. Offering to fight them because they have got a duck over social media is not the answer. I know that if I had a bad day at work and someone called me an obscene name on social media because of it, I would get pretty irate. At the same time, there should not be the sycophantic attitude towards them, neither should there be hatred. Certain counties players over the years have had an arrogance that hasn't gone down well with their own fans let alone those of other counties. Alec Stewart at Surrey has been excellent in turning around a county that had that perception but it could have been a number of clubs over the last twenty years. A results based industry such as professional sport will always tug the emotional heart strings. It is why we love sport and cricket in particular. The highs of winning and the lows of losing are part of the fun. 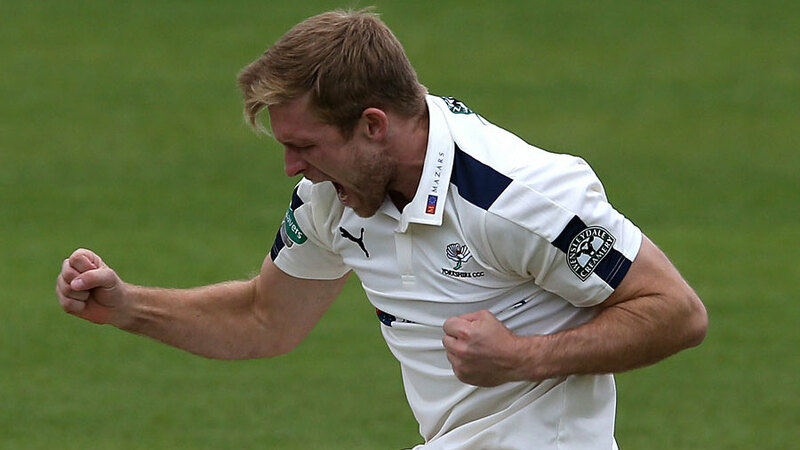 The lows of losing when you have had success recently are harder to take, which is why Middlesex and Yorkshire supporters are maybe more vociferous when it comes to the times of famine after the feast. Cue Manchester United fans in football too. Sport is cyclical and what goes around, comes around. In the words of the football manager Martin Allen, "When you win don't pop the champagne corks, when you lose don't pop the pills". Yet there are plenty on social media who don't grasp this concept and we are seeing the sort of abuse now that football fans have served up for a number of years. However, cricket fans are not football fans and cricketers are not footballers. Cricketers are far more accessible, less arrogant and earn a fraction of the money. It makes them more rounded individuals. If we see the same sort of abuse that the soccer stars have to put up with though, that accessibility will diminish, which will only be a bad thing for the sport.